My first attempt at cooking bacon wrapped steaks on my propane fueled Weber grill. They turned out great! Coat steaks with olive oil. Add salt & pepper or desired seasoning. 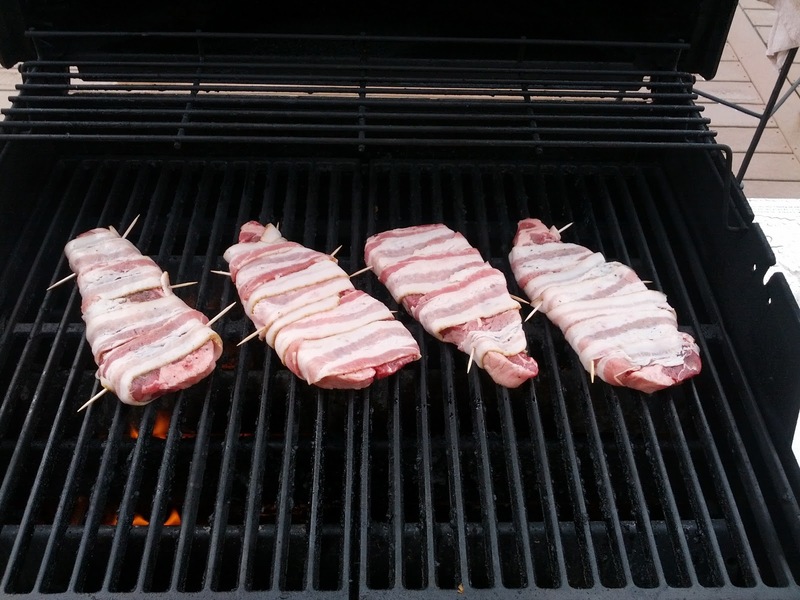 Wrap bacon tightly around steaks and fasten strategically with toothpicks. 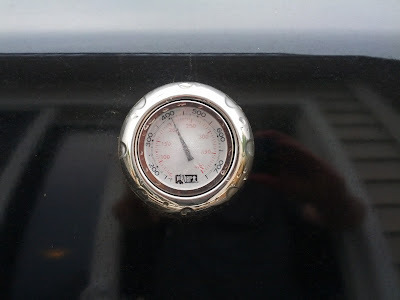 Place steaks in middle of grill over direct heat. Sear steaks for 5-7 minutes per side. (watch for flare-ups due to bacon grease). Move steaks to non-direct heat and cook to for additional 5 minutes or so per side. Check steaks for "doneness". (Mine were medium well). Let stand for 5 minutes, then remove tooth picks. Bacon wrapped strip steaks ready for grilling. 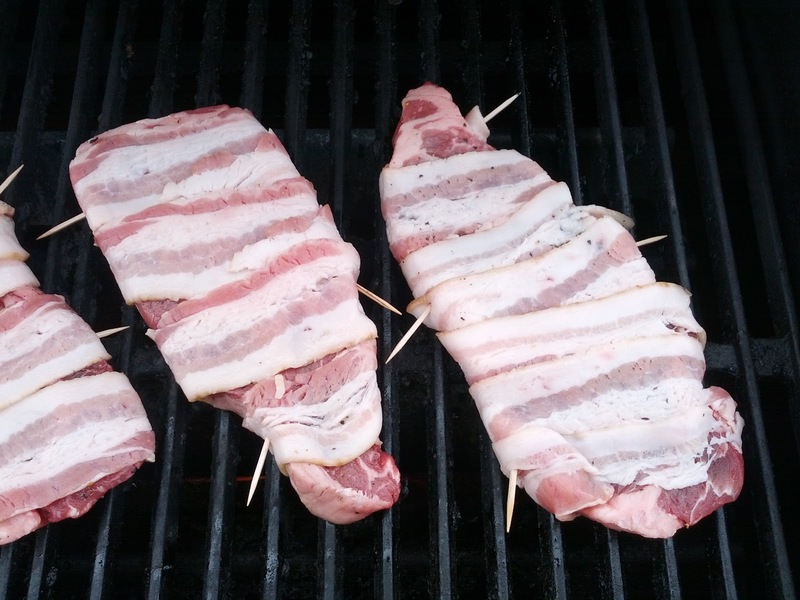 NY strip steaks wrapped in bacon just hitting the grill. 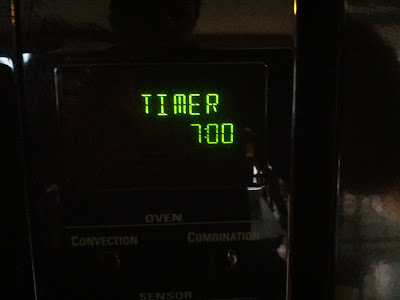 Timer set to 7 minute cook time per side. 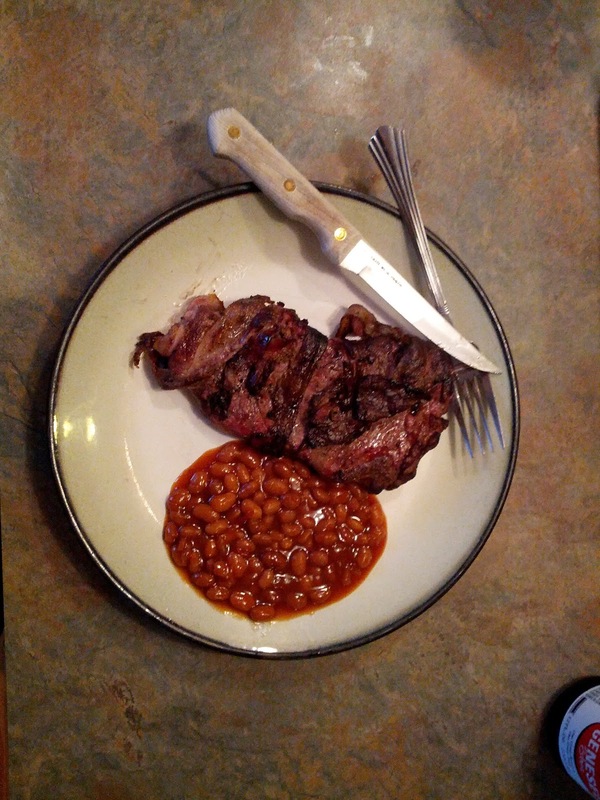 Bacon wrapped steaks ready for consumption along with some BBQ beans. 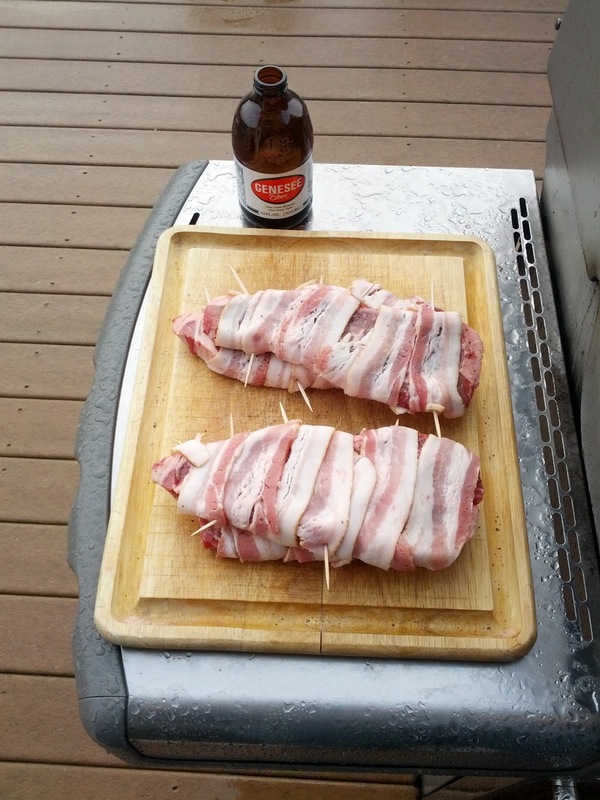 I would probably use aluminum foil next time because the bacon does tend to stick to the grill a bit. No major problems though. How can you go wrong with steak, bacon and beer?